RAPAPORT... Swiss watch exports rose in February, as stockpiling in the UK prior to Brexit accounted for 80% of the industry’s worldwide growth. Shipments rose 3.4% to CHF 1.8 billion ($1.8 billion) for the month overall, following a two-month downturn. Supply to the UK surged 58% to CHF 126.5 million ($126.5 million), while those to China bounced back, rising 15% to CHF 151.1 million ($151.1 million). Exports to Hong Kong fell 3.8% to CHF 245.6 million ($245.6 million), and orders to the US dropped 7% to CHF 174.4 million ($174.4 million). “Export growth in the watch industry gained momentum in February, despite a base effect that remained very unfavorable,” the Federation of the Swiss Watch Industry reported Tuesday. The UK boasted “extraordinary growth,” it noted. Top-priced watches continued to show strong growth, the federation said, noting it was a trend that has continued nearly uninterrupted for the past two years. Shipments of watches priced above CHF 3,000 ($3,000) rose 8% by value, while exports of those worth CHF 500 ($500) to CHF 3,000 fell 5%. Supply of products priced between CHF 200 ($200) to CHF 500 remained flat, while watches valued under CHF 200 plummeted 15%. Bi-metal and precious metal watches, especially those made of platinum, helped boost results, the federation noted. Exports of watches made from gold and steel jumped 12% to CHF 311.2 million ($311.2 million). 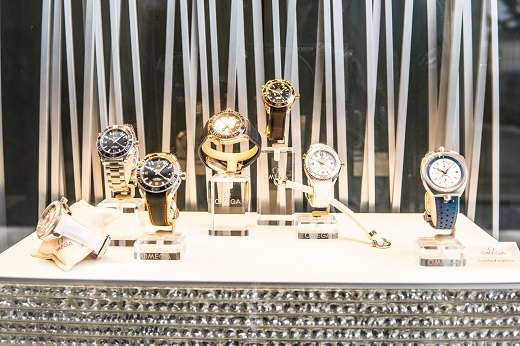 Supply of timepieces made of precious metal grew 4.3% to CHF 564.7 million ($564.7 million), while shipments of steel watches inched up 0.5% to CHF 656.6 million ($656.6 million).